This is the official release of the Showcase theme that I’ve been working on for the past several days. 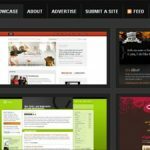 Showcase is a premium (paid) WordPress theme created to power a CSS or web design gallery, which is also ideal for managing online portfolios and photo blogs. 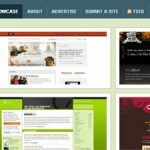 If you want to use WordPress as a web design gallery, Showcase is the solution you’ve been looking for. Beyond its core features, it comes with 5 different color schemes and 8 layout variations. Custom Layout / Design to Display Gallery Images – This is a very clean, simple layout made to allow lots of flexing room so you can modify and modify until your heart’s content. Hover Menu On Mouse Over – This is sort of a little toy that I added for fun, but it turned out to be very useful. You can style it the way you want to. You can re-position it to make it appear where you want it to. Not to mention, this useful little toy will be put your gallery above many CSS or web design galleries out there that are not taking advantage of hover menus. Pre-styled Sidebar Button Banners – If your gallery isn’t a personal photo album, more than likely, you’ll monetize it. So I thought, why not help you do that? I designed a block in the sidebar to display pre-styled button banner ads. You can read the readme.html on how to add it to your sidebar. Integrated Plugins: WP-PostRatings and WP-PageNavi – WP-PageNavi improves usability by allowing users to browse the gallery using page numbers instead of the default Next and Previous page links for every page. WP-PostRatings is another neat little toy, integrated just in case you want to allow users to rate each entry of your gallery. 5 Different Color Schemes – Along with the default white and light gray color scheme, Showcase comes bundled with four different skins that you can use to change the color scheme. As you can see, you can make drastic changes through simple modifications. Those four skins are only the beginning of what you can do with Showcase. 8 Easy to Rotate Layout Variations – Sure, color changes are cool, but that might not be enough. I understand it’s important to be unique. That’s why I made it very easy for you to use different layout variations. This is how you can separate your gallery from the rest of the galleries using Showcase. Valid XHTML and CSS – All core templates and CSS styles are valid. Of course, did you expect less from me? 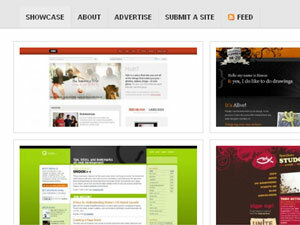 Widget Ready Sidebars – The right sidebar column is actually made up of 3 separate widget ready sidebars. Easy Single Right Sidebar Column to Three Bottom Sidebar Columns Conversion – Through only one easy CSS change, you can go from having one right sidebar to having three bottom sidebars. This theme is no longer for sale.